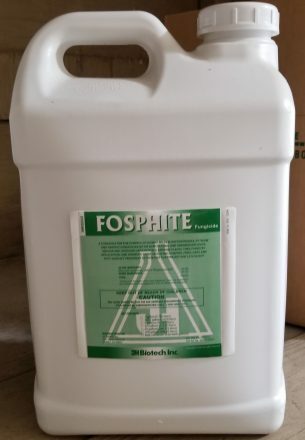 phosphorous acid – equivalent to 3.90 lb phosphorous acid/gallon. Broad-spectrum fungicide for diseases during growing season and for control of post-harvest molds, brown rot, and others. Not allowed for certified organic production.